GAELSCOIL Mhic Easmainn is holding their Lá Oscailte/Open Day on Wednesday, March 7 between 11.00am-12.00noon and again between 6.30pm-7.30pm as part of their celebration of Seachtain na Gaeilge. 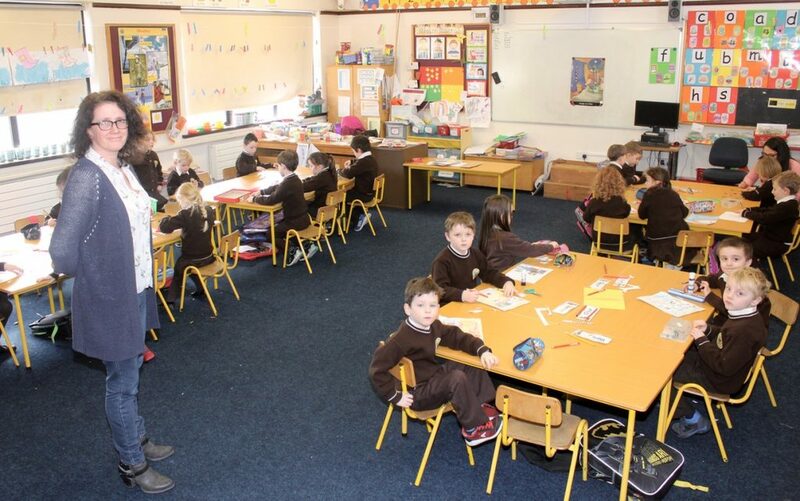 Gaelscoil Mhic Easmainn has Gaeilge as its working language while following the standard curriculum as laid out by the Department of Education and Skills. Through this system, pupils achieve a high level of fluency in both English and Irish. Sports play a major part in the school life with all pupils getting involved in activities such as football, hurling, basketball and swimming amongst others. They are proud of winning many accolades over the years especially in Cumann na mBunscol and Basketball Competitions. Their high achieving pupils have also won many trophies for their performances in dance, gymnastics, and art competitions to name but a few. In recognition of the importance they place on children leading an active and healthy life, the school has been awarded the Active Schools Flag since 2013. They continue to encourage pupils involvement in physical activities. The school also has been recognised as a Health Promoting School and holds a White Flag for this. Expressing oneself through drama plays a major role in the development of the child and in recognising this, the pupils participate in Féile Drámaíochta, Coirm Ghael Linn every year in 5th class. To date we have won many All Ireland Titles and are aiming to retain the title this year. Our spacious school hall allows our pupils room, not only for creative expression through drama, music, dance and song, but also for physical education in every weather. In whole school exhibitions of Art, Science, History Projects and gatherings of our GSME Community throughout the year. As the Gaelscoil celebrates the 40th Anniversary, their aim continues to be to help each and every child to reach their full potential in all curricular areas. Fáilte is fiche go ár Lá Oscailte. “Ní neart go cur le chéile.